With this year marking the first time that cashless transactions have overtaken cash payments, one must wonder what it will mean for charities. For so long they have been defined by their workers and volunteers hitting the streets to promote and raise funds for the cause, how will they be able to raise cash when no one has any in their pocket? Pennies, the digital charity box appears to have come up with a successful solution. Founded in 2010, the charity has been focussing on innovations within its sector from the outset. “Pennies demonstrates how the right innovation, that offers people an easy way to give, can make a tangible difference for good causes. The recent rapid advances in payments technology, from online shopping through to contactless and mobile payments, have been reflected in the growth of the Pennies movement over the past year with more and more people looking for simple, digital ways to give to charity,” said Alison Hutchinson, CEO of The Pennies Foundation. Its digital charity box allows people to make small charitable donations when paying by card. 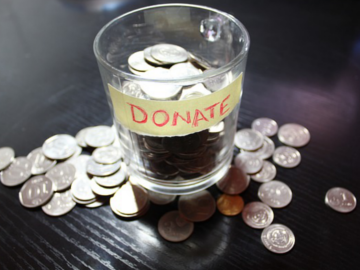 When paying online for example, there is an option to donate just before payment. Users can click to opt in and the amount will be calculated automatically. People can also pay in store as the donation option comes up on the Chip-and-PIN reader. Retailers choose the charities they wish to support and decide the donation amount, allowing them to boost their charity fundraising and association with good causes. Pennies says that if every one of the 43 million cardholders in the UK donated 30p once a month, over £150m could be raised for charity every year. Pennies’ technological solution appears to be working rather well as it has recently revealed that it has received 20 million micro-donations, raising over £4.5 million for more than 100 charities. To mark the 20-million milestone, the charity organised an event hosted by Pennies partner Gieves & Hawkes at No. 1 Savile Row, where ey speakers included the broadcaster and new Pennies ambassador Martyn Lewis CBE and Minister of State for Small Business, Industry and Enterprise, the Rt Hon Anna Soubry MP. The Rt Hon Anna Soubry MP also highlighted that businesses should also embrace these charitable innovations by saying that they all have a responsibility to give back and support the unlocking of this funding channel.